Too low temperature has got a negative influence on binding of concrete – it is connected with a risk of freezing of water in the freshly laid concrete and consequent mechanical damage related to the increase (by over 9%) of water volume when freezing. The next risk is freezing of the surface of concrete and lack of complete binding in temperatures below 0°C. 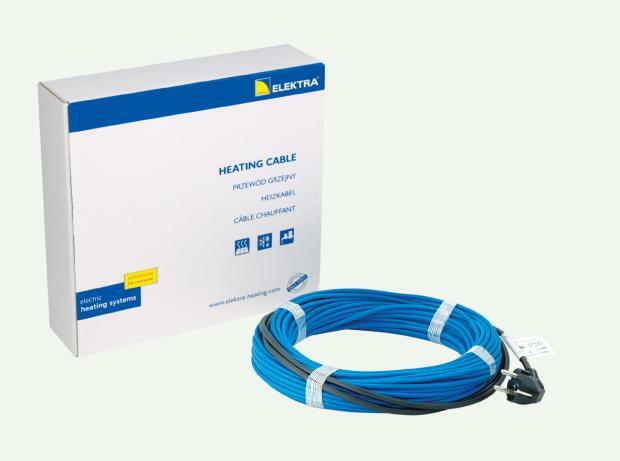 New ELEKTRA BET heating cables effectively eliminate this problem facilitating the process of binding from the center of volume of concrete. Additionally, they allow easy installation, do not require any transformers or dedicated power supply, do not require construction of any auxiliary closed structures or heating of entire rooms and volumes, and give the possibility of maintaining the optimal temperature for curing concrete.